Rochester & Associates assisted campus staff with preparing a campus utility map of water, sanitary sewer, storm, power, gas and communications. 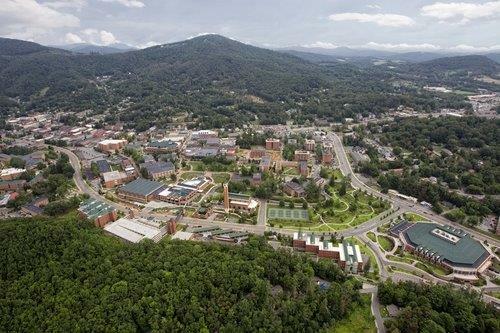 A current campus ortho-rectified aerial photo tied to site control based on North Carolina State Plan Coordinate system was prepared. Visible above ground and located underground utilities were field surveyed for incorporation into the aerial file. Each utility is color coded based on Utility Protection Center color code standards and is show on its own layer as well as on a comprehensive campus utility map. The deliverables include a paper copy and electronic copy in PDF and CAD. Additional projects include a culvert design, multi-use recreational field concept, and sanitary sewer condition assessment project to name a few.